Small businesses are busier than ever spending countless hours in the office and on the run to close deals, fulfill their goals, and grow their companies. 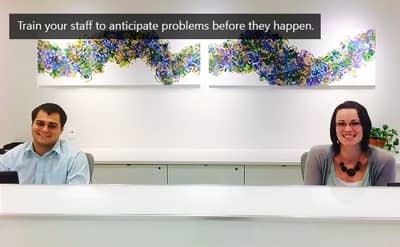 Working out of a personalized space can make an average workspace into a productive environment fit for fostering company culture and staff relationships. Here at AdvantEdge, there are many ways to make our offices into your company’s own special workspace. One of the simplest ways to customize your office is to paint it. Create an accent wall or paint each individual office a different color to visually brand your company and bring some flavor into the office. AdvantEdge is even able to help coordinate painters and take the stress out of it for you. We understand that you will spend lots of time at our centers and we believe that each of our clients should make their office their own. 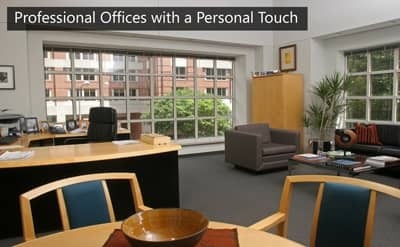 Make your office feel more like home with personal touches and mementos. Art work, photos, and potted plants are great pieces to create focal points and add some flair. 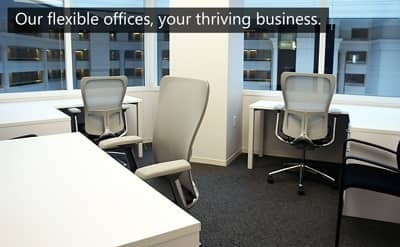 Personalized workspaces have a positive impact on employee productivity and will help reinforce your company’s overall mission. Give your office more character by setting up furniture to reflect your company culture. This could include sharing an office with a team member to create a seamless, collaborative environment, adding a conference table in common space that can be used for impromptu meetings, or acquiring individual offices to provide quiet, focused environments for each employee. Shared office spaces provide many configurations and furniture options to create an efficient workspace for your specific company. We also provide a wide range of meetings rooms and open seating to accommodate formal and informal gatherings. Our boardrooms and large training rooms can be configured into various styles to fit your needs. Extra spaces like our business lounges provide alternate workspaces available anytime. With flexible and customizable options we promise to provide everything your business needs to succeed. From law firms and startups to nonprofits and consultants our years of experience help your business achieve its goals while preserving your unique company identity. To learn more about personalized workspaces with AdvantEdge click the button below.